Want to shoot some videos with the Leica M? You may think it is a bit overkill, right? 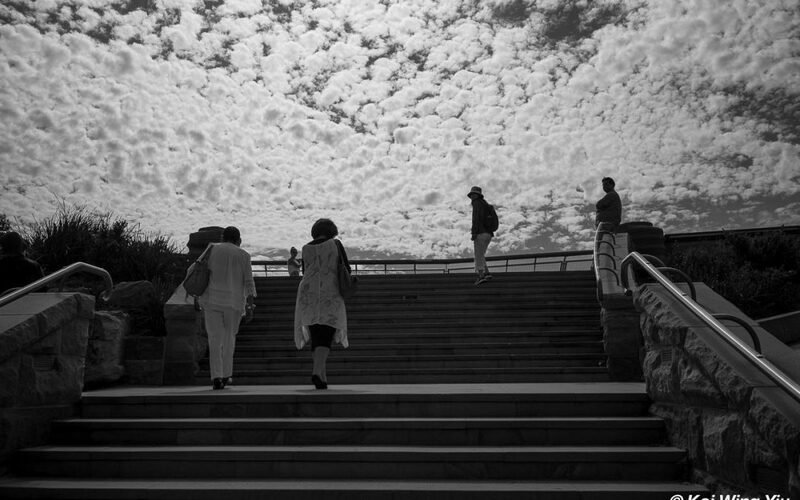 The Leica M is renowned for street photography, not built solely for shooting videos. But many DSLRs and mirrorless cameras are not purposely built for the photographers to take videos in mind. The video capture function is added there because of the trend, not the need. Today, who can play down the power of videos? Therefore my next question apparently is: why not? The Leica M should be best used similarly as a video camera for street photography, or street videography. A photographer (or videographer) is ready to make the best use of all the features of the camera. There is no excuse not to use any of its unique features. When you own an excellent tool, I suppose there is no reason not to understand it from head to toe. This is why I have planned to shoot some video clips to make up a nice little movie with the Leica M.
Travelling light is always vital. My camera on the go is always a Leica M body plus a lens. This time I brought along only the Elmarit-M 28 mm f/2.8 to go out to capture some wonderful moments under the beautiful sunny blue sky. I only used the microphone on the camera body for sound recording as I know I need some nice background music. While editing in Adobe Premiere, I can import some music from the Music Store of Vimeo.com to enhance the videos. If you have upgraded to a Vimeo PLUS member, you can download many music pieces for free or buy some with reasonable prices. 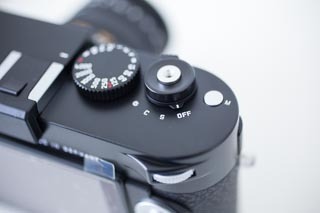 The START/END button of the video shutter release is right next to the shutter button release. It is silver in colour, press once to start and press again to end. I used the optical viewfinder to focus instead of using live view from the rear monitor. This is the excellent choice as the optional viewfinder is bright and the coverage is precise. I am also not used to peak focusing. By doing this, I watched the objects through the viewfinder during the entire process of video capturing. A video recording in progress is indicated by alternate flashing of the two dots in the digital display of the speed value or aperture value. You can also take photographs in the process of video capturing. As the Leica M is a small camera, capturing video or taking photograph does not cause any disturbance to other people on the street. I selected aperture priority mode all the times and kept the ISO to 200 during shooting. As a result some video clips were overexposed and some underexposed. An external light meter may be necessary to get better exposure values. As Thorsten Overgaard has mentioned in his blog, the video is recorded at 1/50 sec values at all times. The only way to get the exposure correct is by adjusting the ISO values. At the end, I imported the video clips to Adobe Lightroom and did some post-processing in Adobe Premiere before exported them to MP4 format first and uploaded to Vimeo. A Morning Trip to Watsons Bay from Wing Yiu on Vimeo. From Circular Quay to Neutral Bay from Wing Yiu on Vimeo. If you want to learn the most about making videos from the Leica M, Thorsten Overgaard’s review (Part 3) will not disappoint you in all aspects. He tells you the shortcoming of using the Leica Microphone Adapter set (my earlier post has also mentioned about this using the Olympus SEMA-1), gears he used in testing and many sample videos. I have learnt greatly from his posts on using Leica M.